Warm and welcoming, ten kilometres away from Sienna this is an ancient, XVth century villa, recently restored by a sensitive and art historically conscious architect and designer who has chosen to preserve the very best of the Tuscan tradition where nature and culture have mingled for centuries. The antique spaces have been reinvigorated, made more comfortable and personalized whilst using traditional local materials, rough stone, terra cotta, wrought iron, wood. The nearest airport is Pisa or Florence, which Ryan Air , Easy Jet and other air companies fly you to from every major city in the world. Hiring a car is the best option afterwards but there are plenty of trains .We’ll be happy to explain the options. In Brenna a little village equped with the basic amenities, it is 12 kilometres from Sienna, 80 km from the beach and renowned spas. 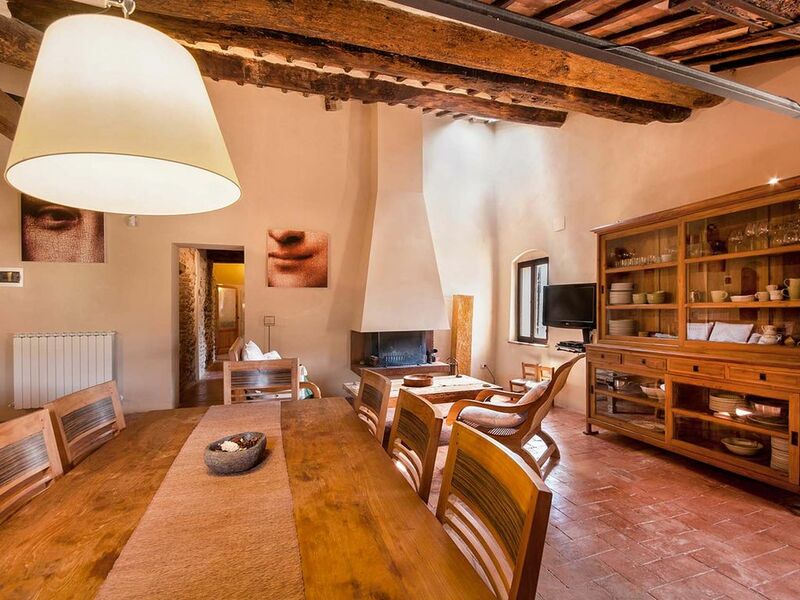 The villa is ideally suited to visit truly legendary Tuscany: Sienna, Chianti, Val d’Orcia, ancient villages, medieval cloisters and landscapes which have inspired the world’s greatest artists. The ideal place for an inspirational holiday. Stroll to the village and back, dine at the pizzeria and trattoria nearby. Go for a swim in the nearby Mersa river, horse-back riding in the local Riding Centre. You’re a short bis ride away from Sienna and a walk away from the larger village of Rosia whihc boasts shops, bars, restaurants, pharmacy everything you might need.